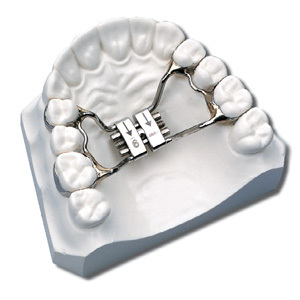 By putting gentle pressure on your upper molars each time an adjustment is made, a palatal expander widens the upper jaw. Push the key toward the back of the mouth. The fender will rotate and the new hole will appear.